Baroda House, as the name suggests was built for the Maharaja of Baroda, Maharaja Sayajirao Gaekwad III. It was the residence of Maharaja in Delhi, located on Kasturba Gandhi Marg near Faridkot. The building was designed by Sir Edwin Lutyens in Anglo-Saxon style. 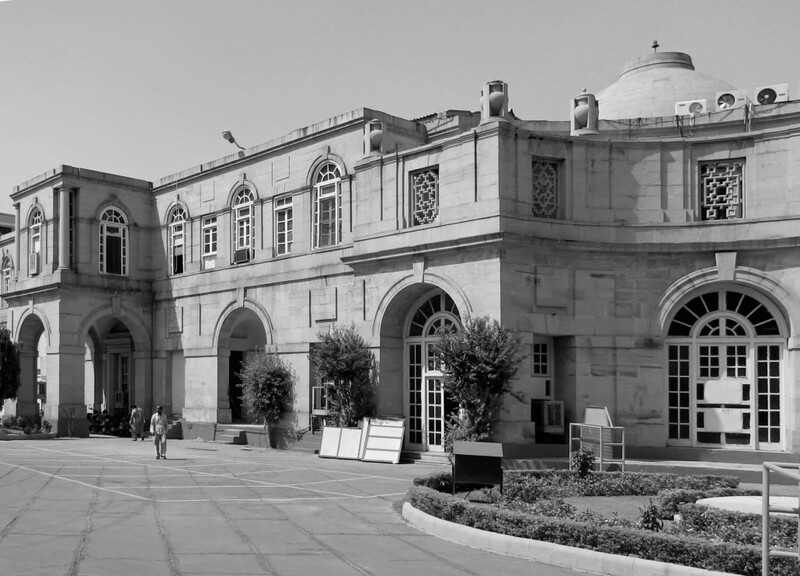 It is said that Sir Edwin Lutyens designed Baroda House on a train from Bombay in 1921 and took 15 years to build it. The building has a dome at the top which looks like Sanchi Stupa. The building has large built windows & doors which has arches. The walls have ornate jaali work done in European style. The grand Baroda House was known for its terraces, grand corridors, cooling arcades, beautiful gardens and well-ventilated salons and richly done up living rooms. Today, the baroda house is the building of Zonal Headquarter of Northern Railway. This building is in a sad state of dilapidation and much altered internally to make offices for clerks. A cement floor has been inserted in the domed two-storey saloon. There is also a two-feet gauge MTR class steam locomotive in front of Baroda House.